Pawan Pest Control Services Pest control Services is a property management service company, providing proficient housekeeping for healthy living. We embellish the value of business of our clients by providing a clean, comfortable, attractive & safe environment that benchmarks the property up keep standards in corporate business houses,Industrial sectors & residential areas in the country. Our hands on experience from last10 years commitment to superior service & genuine concern for the well being of customersis instrumental in making us sucessfulin our profession. To enhance the value of business & contirute in the corporate image building of our clients. We nourish floors, walls, ceilings furniture, soft furnishing & art effects with appropriate bio degradable environment products.Our specialization in the field of marble crystallization, granite treatment & wooden floor maintenance with the help of global resources is our unique feature. The floor care machines & cleaning products for various surfaces commensurate to the best in the world ∧ adhere to environment practices. The guiding principle of our success is detailed on the job & classroom training of our employees in accordance withthe latest housekeeping standards.A regular quality assurance audit of operation develops the human resources for our company for their sucessful endeavor. People working for Pawan Pest control Services are well trained professionals in neat attire encouraged to take responsibility & make decisions in favour of customers. Superior service culture & premium assistance is the overriding aim of everybody working for Pawan Pest control Services. We serve you at your door step for effective pest control with various treatments. PPCind is Mumbai’s trusted professional pest control company, which provides best pest removal services in Mumbai and nearby places like dadar, thane, borivali, andheri, powai, kandivali, bandra, navi Mumbai, vashi, panvel, chembur,kalyan. We provide professional and environmentally responsible pest control services to Mumbai people. 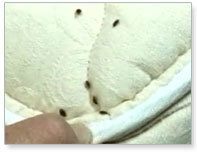 Pest control treatment We have been in the business of controlling pests since 2000. We have treated bed bugs, rodents and termites in about 35,000 buildings in Mumbai besides doing pest control treatment for all types of pests in all kinds of premises. Professional Pest Management Services in Mumbai We are now ISO 9001:2015 certified for providing pest control services for residential and corporate pest control in Mumbai. We offer a comprehensive range of Professional Pest Management Services in Mumbai. We have been a good leader in providing professional and environmentally responsible pest control services by offering comprehensive solutions for our customers. We also have government licensed in the field of pest removal service. We undertake pest control services on annual contract basis or just one spot treatment at a very reasonable rate and the cost of our service is very negligible when compared to the Losses / Damages by the pests. COMMON HOUSEHOLD PESTS TERMITES,COCKROACHES,FABRIC PESTS,ANTS,OCCASIONAL INVADERS,RODENTS,SPIDERS,BED BUGS, Best Pest Control Services In Andheri East. Top Pest Control Services In Andheri East. No.1 Pest Control Services In Andheri East Top Famous Pest Control Services In Andheri East. Top Famous Pest Control Services In Mumbai. No.1 Pest Control Services In Mumbai. Top Pest Control Services In Mumbai. Most Popular Pest Control Services In Andheri East. Most Popular Pest Control Services In Mumbai Best Pest Control Services in MIDC Andheri East. Top Pest Control Services in MIDC Andheri East. Pest Control Services in MIDC Andheri East. Best Pest Control Services in JB Nagar. Best Pest Control Services in Chakala. Top Pest Control Services in MIDC Andheri East. Famous Pest Control Services in Chakala. Termite Control Many Pests Can Cause Us Stress And Frustration, However None Have The Capacity To Cause As Much Financial Damage As The Common Termite. It Is For This Reason That We Strongly Recommend Our Business Customers Have Annual Termite Inspections, Our Trained Staff Will Carry Out A Thorough Inspection For Termites And Be Looking For Common Signs Of Existing Damage Such As. * Wood That Sounds Hollow When Tapped. * Gaps In Crumbling Wooden Beams. * Termite Mud Tubes Which Run Above Ground. These Are Built By Termites As Tunnels To Avoid Exposure. Online Your Source For The Best Quality Service Guaranteed Work We Pestache Pest Control Services are pleased to introduce ourselves as the professional pest control management of Mumbai. We established this Pest Control Services firm in Mumbai with perspective of Human health & hygiene. We have team of experienced, competent & professional staff to manage your pests & pests related problems. We offer Pest Control management services to Residences, Societies, Corporate Offices, Commercial shops, Godowns, Factories, Hotels, Malls etc. in Mumbai. We provide convenient, odorless, hassle free services using new generation pest control management services. Health And Safety Pests Restaurant Business owners are responsible for health and safety of staff in the workplace. Pest control monitoring and surveying can involve accessing places at height and confined places that have a risk of accident or injury, and handling dangerous chemicals. It is the responsibility of the employer to ensure employees operate safely and they, the public and the environment are protected from poisons and toxic chemicals used by the business pawan pest control. Pest Control On Shipping Vessels Clearing Office pest control technician well trained & professional pests carry out pest control services on ships and vessels quickly and efficiently, we provider. 1. Time limitations as the ship stay for a very limited time to port. 2. Continuous mement of passenger, crew staff and foodstuff. 3. Many harborage places for pests like ducting, voids, walls and ceilings as well as behind equipment, between bulkheads and deck heads. 4. Standing water can lead to mosquito breeding more infestation this.www.ppcind.in if your need to chemical you can order in mail. Pest Control Goodbye To All Your Problems.. We are offer pest control management services to residents soociiety, and corporate office, , commercial shop, warehouse, factories, hotel, mall in Mumbai. We established this pest control services in Mumbai with perspective of human health and hygiene. We have team of experienced, competent & professional staff to manage your home pests & pests related problems. Spider Control Treatment All spiders bite. But few in the Southeast are venomous, like the famous black and brown widow or brown recluse spiders. These predatory arachnids are in the same class that includes scorpions and ticks, and most spiders prefer being inside.Very few people, however, welcome them into their homes, and some folks are afraid when they see that spider hanging from the ceiling. Is the spider you see threatening? Probably not. But don’t wait to find out if a spider is venomous or not. Let our experts deal with the problem right away.Our team of highly trained specialists will rid you of the 8-legged creatures easily and safely. We have certified entomologists on staff to help find the best solution to all your pest problems. Our specialists deal with these pests using environmentally friendly means. Call Pawan Pest Solutions today, so you can be free of these crawly creatures. Our company can help customers rid their homes of bed bugs, termites, ants, rodents, roaches, fleas, hornets, wasps, mice, mosquitoes, scorpions, and many other pests. We also offer bird control, animal control, crawl space inspections, and water management services to our customers. Speak to a spider expert in your pest solutions today.